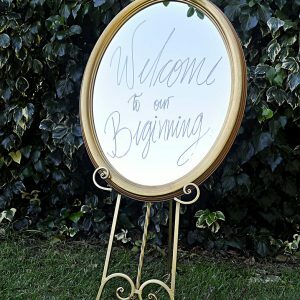 In case you had no idea, mirrors and mirror signs for parties and weddings have become increasingly popular. With that being said, buying one to use for a single occasion is not really a wise decision. The best course of action would be for you to find a company that offers rentals. 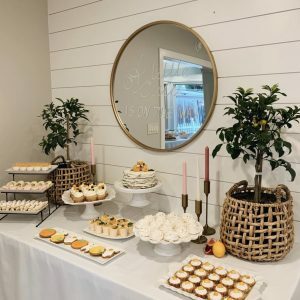 This will give you the opportunity to bring a little something extra to your big day without feeling like you are financially overextending yourself. You may be wondering why this is all the rage, but it is actually quite simple. When you rent one of these, the company you work with typically personalizes it with a message to commemorate the occasion. 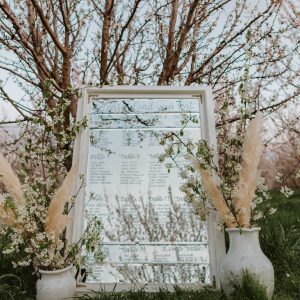 This could be anything from having the names of the bride and groom emblazoned with the wedding date to having the menu for your graduation party on display for all of the guests to see as they arrive. In case you are still on the fence about using one of these or you are curious and need a bit of insight, you should continue reading. – Many people create signature cocktails on the big day. One courtesy of the bride and the other created by the groom. Before someone grabs one and takes a sip, it would be nice to have a list of all the ingredients. Having a mirror sign with the recipe for both will help people decide which one to order when they head to the bar. – Some hosts like to use mirrors as table numbers. It can be a real hassle to create a seating chart and ensure that everyone finds their place in a reasonable amount of time. Another important point is placing a mirror in an inconspicuous area, you can avoid hiring additional people to usher guests around. – You can grab everyone’s attention when they walk in by using a mirror to present the schedule for your event. This can be done in lieu of or in addition to printed programs. 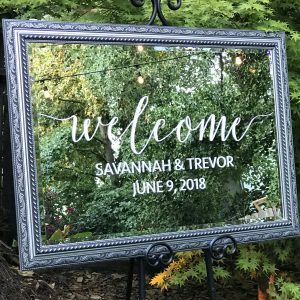 Depending on your particular reasons for deciding to use a wedding or party mirror or mirror sign, you should choose one that is fitting to the event in question. Here are a few points to consider when you are scoping out your options. The size that is chosen will likely depend on two factors: where it will be located. If you are placing the mirror on a table, it would be wise if it is not too overbearing or heavy since this can ruin the integrity of the table. 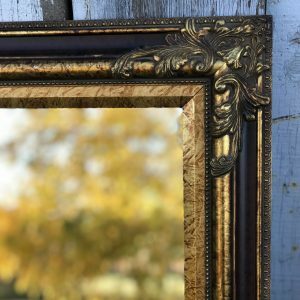 On the opposite end of the spectrum, you want to choose something very large and sturdy if you plan to have the mirror placed somewhere outdoors, especially if the event is going to be held during inclement weather. There are many different colors available. The one that you choose should complement the color scheme of your event. In some cases, it should mesh with the theme. For instance, if you are throwing a party that has a vintage tone, you may want to select a mirror that has an older, distressed look. – Place a mirror on the table where people are expected to sign a guestbook. Instead of assuming they will know what to do you, use this opportunity to give them directions. This is a great idea for those who are interested in being a part of this trend, yet they don’t have the money available to afford something grander. 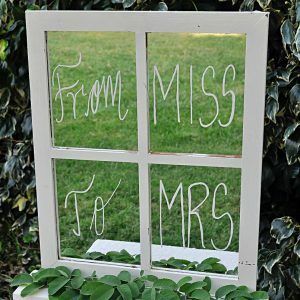 – If you are planning a wedding, consider having a mirror sign available that offers a love quote that applies to your upcoming nuptials. To make it even more special, think about a moment that defines your love and find a saying that encompasses that. – Welcome people with a nice greeting. When you have a party or wedding, one of your main goals is to stand out. You can accomplish this goal by being different from the very money they arrive. As soon as people see a personalized welcome, it will get them in a good mood. Essentially, you will be setting the tone of the entire day by making this gesture. – Offer your appreciation. 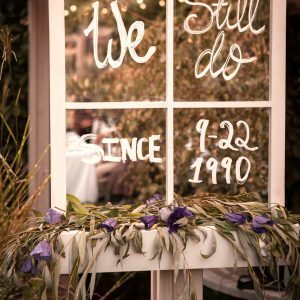 Place small mirrors all over the reception area to thank people from being there and supporting you and your new spouse on this day. This is another time where it is not necessary to rent anything that is really large. Being subtle and saying thank you is better than having it in huge, bold font all over the place. People will be under the impression that you are yelling. – If you are having some trouble deciding which mirror to select, feel free to discuss this with a representative of the company. They may lead you in a direction that you hadn’t considered. 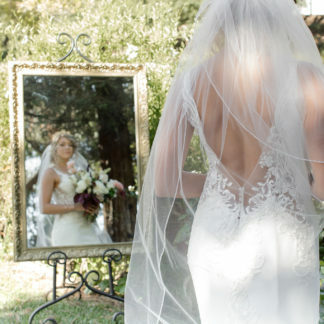 – Make sure that you schedule your party or wedding mirrors or mirror sign rental far ahead of time. Waiting until the last minute means that the company may be so booked that they will be unable to squeeze you in. If possible, this is something that you should take care of as soon as you realize this is something you are interested in. A good suggestion is at least a month before a party and 3-4 months for a wedding. Sometimes it does not pay to jump on the trend bandwagon, but this is very different. While you may be doing something others are, the fact that you will be offered a totally personalized experience will still make you stand apart from the rest.